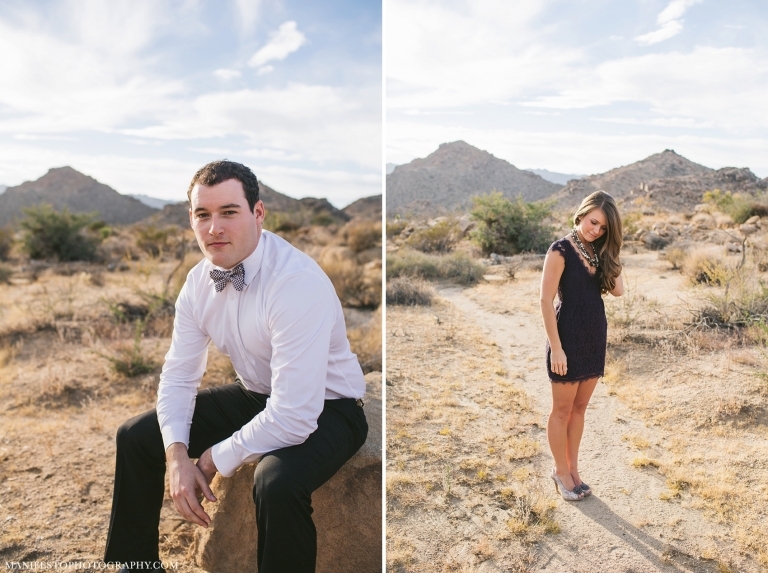 You may remember CJ and Natalie from part one of their destination engagement session done in Palm Springs, CA. Well, here is part two! One of Natalie & CJ’s fondest memories was the night they met. Natalie was, and still is great friends with CJ’s sister, and it was her Halloween themed stag and doe party where they met. They both were dressed up and looking silly, but it was love at first sight for them. They hit it off right away, and spent the evening dancing. Two nights later on Riverside, they met up at a park bench. They ended up talking for 7 hours straight, and everything just ‘felt so right.’ Well, that park bench has since been a very special spot for them, and over the years they have returned there a few times to reminisce about their first date. The day CJ proposed to Natalie they went for a walk and ended up at their special bench. After a few minutes there, CJ got down on one knee and popped the question! It was only then that they realized the inscription on the bench had been changed to “Stand still and consider the wondrous works of God.” This made everything even more special. We really wanted to bring that inscription to life with their photos, and what place could be more incredible to consider God’s wondrous works than Joshua Tree National Park! The landscape itself is a miracle, and to top it off we were gifted an insane sunset. 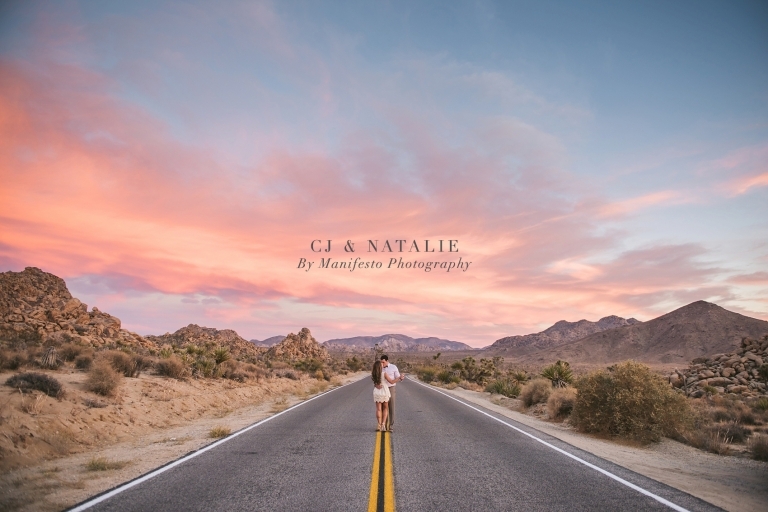 CJ and Natalie, may you always stand strongly together and forever enjoy your beautiful life. You both are so special to us, and we could not be happier you fell in love! Can’t wait for the wedding. “When we met Josh and Arica, things just clicked. We sat and chatted and instantly knew there was no turning back. They are very good at what they do, and their experience shows. Upon our first visit we were drafting out timelines for the wedding day – they are much more than “photographers” and helped us with planning so many details of our wedding day! 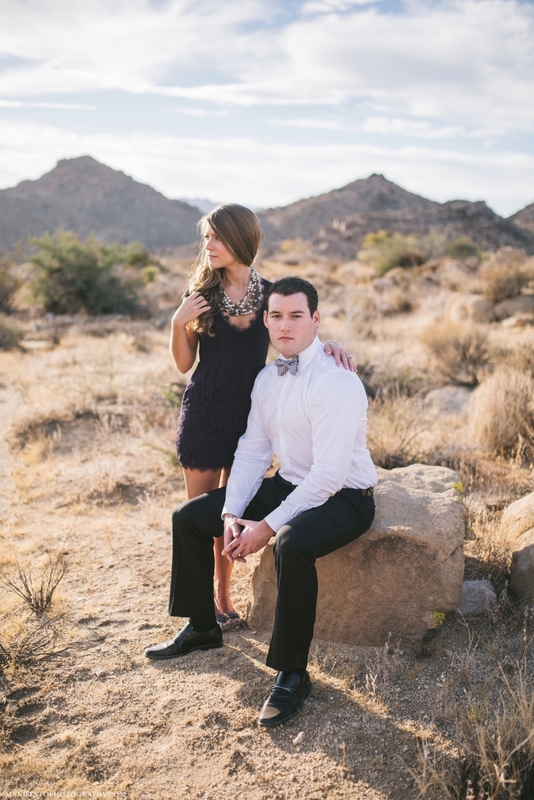 Then … we decided to get crazy and fly to California for our engagement photos! Not only did we have an amazing trip, we also realized how privileged we were to be at such amazing location with two great photographers. When working with the Manifesto team, they make you feel at ease in front of the camera. C.J. would’ve told you he did not enjoy having his photo taken, but he soon changed his mind! Josh and Arica have always made us feel that they truly want to capture “us” – from the inside out. They have spent time getting to know us, what kind of photos we like, our quirks and hobbies – and it shows because we couldn’t be happier with our engagement photos and feel like they are a genuine reflection of who we are, as a couple, and as individuals! Wow! We have nothing this beautiful in Virginia!